nike hi-tops - dunno they're from the little boys section 'cos my feet are too small for grown up shoes. Again I have to apologise for how cawkward I am... my face is just... classic Amber really. I was actually mostly wearing a jumper with this outfit and it probably looked better than the crop top but the sun suddenly came out so I whipped it off. 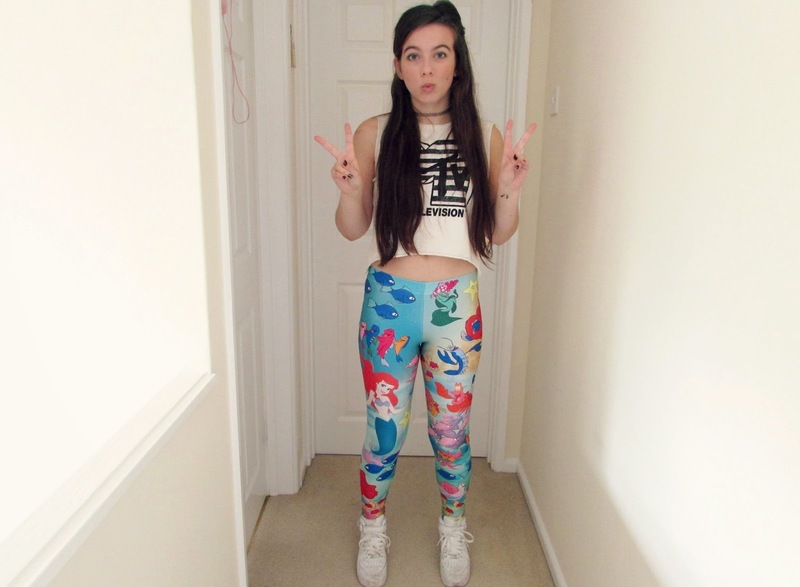 Now I obviously have to talk about the leggings, they're so in yo' face I can't not really. 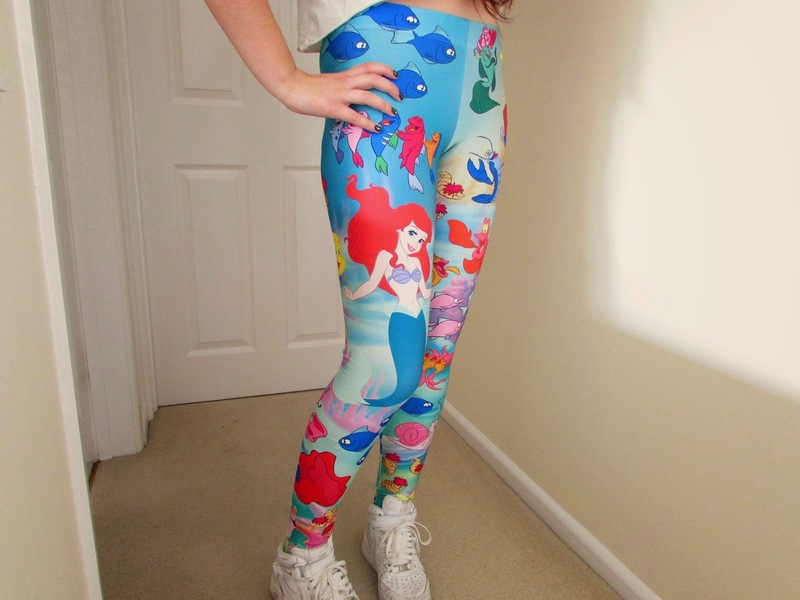 I love Disney, and I love mad leggings, so when they're put together oh my staaars so much awesome on my legs right there. Going to be living in these for the foreseeable future, apologies to all my other clothes. These hi-tops were labelled 'chav white' by a friend of mine and it kinda stuck in my head. Hope I'm not offending anyone with that, chavs are lovely people really. What do you think of crazeee leggings? Also leggings as pants?! So many say no way, but when they look like this how can you not?! I love these leggings! I'd never have the guts to wear these but they're definitely going onto my wish-list, very colourful but amazing!? This outfit is awesome! I love a good pair of hi-tops, and those leggings are just insanely wonderful! I have some socks that are the same pattern as your mermaid leggings. Look at this stuff, isn't it neat? I would like your hair please. I'm really fond of it's length.